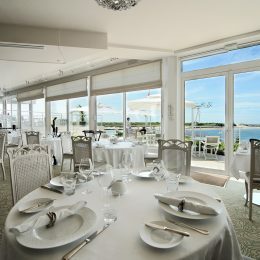 The Hotel **** and the Restaurant * have been open since February 9th. 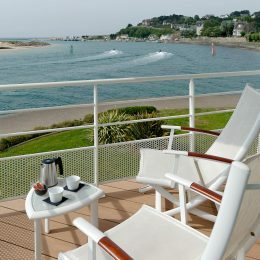 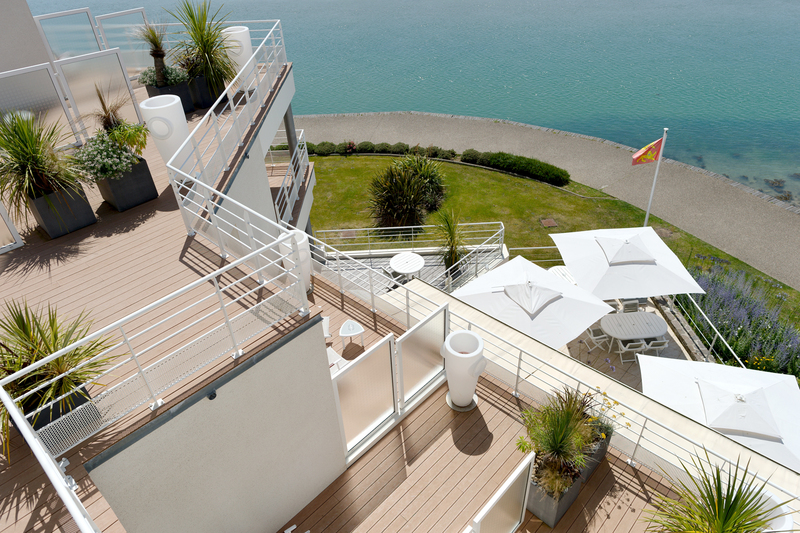 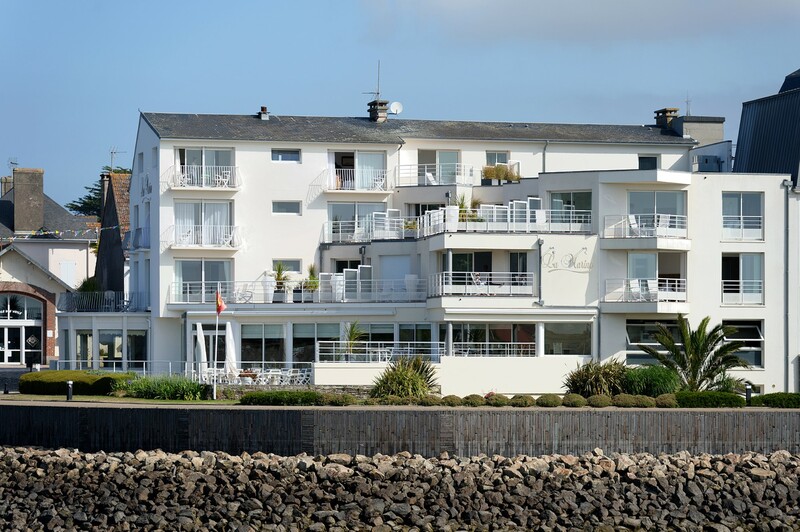 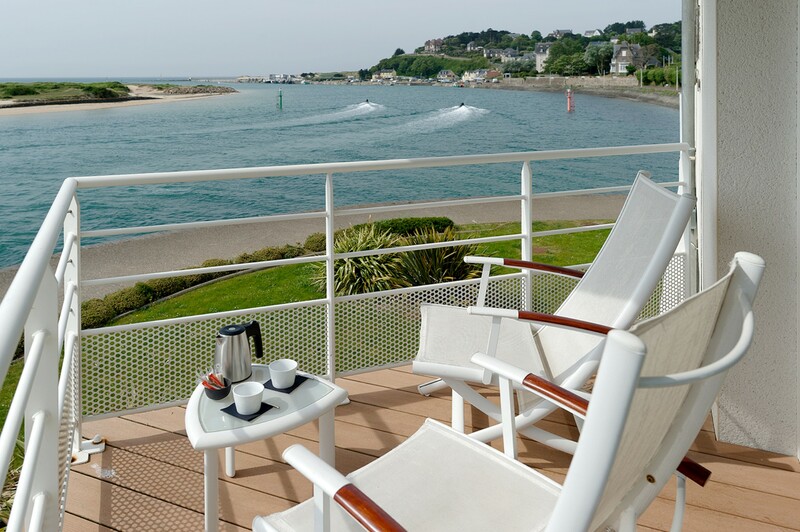 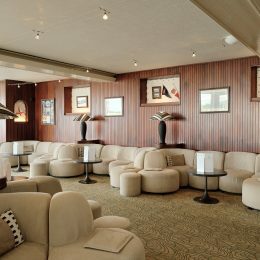 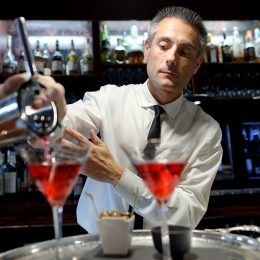 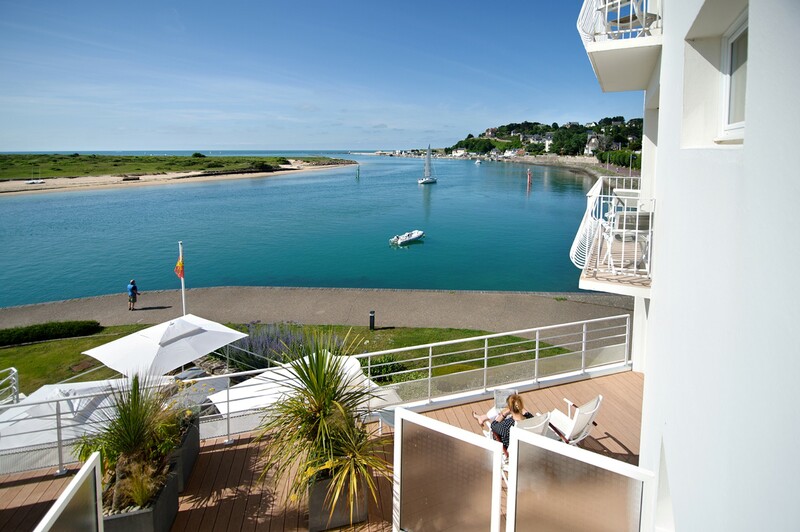 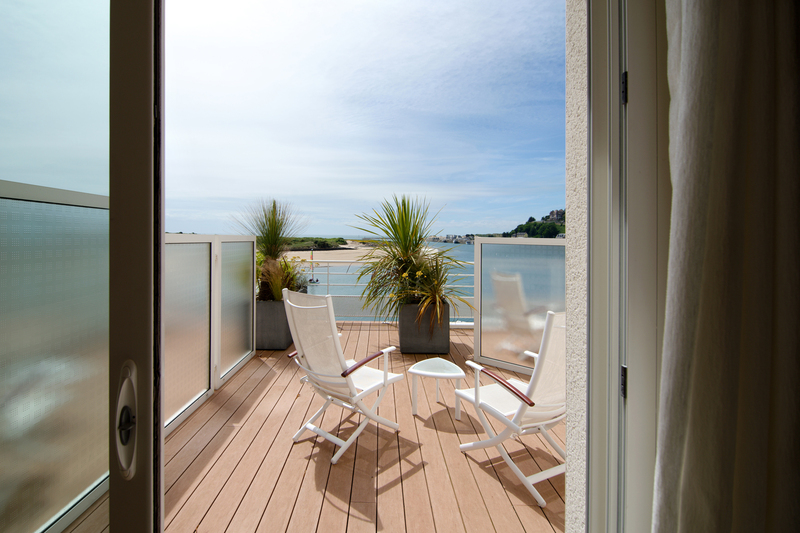 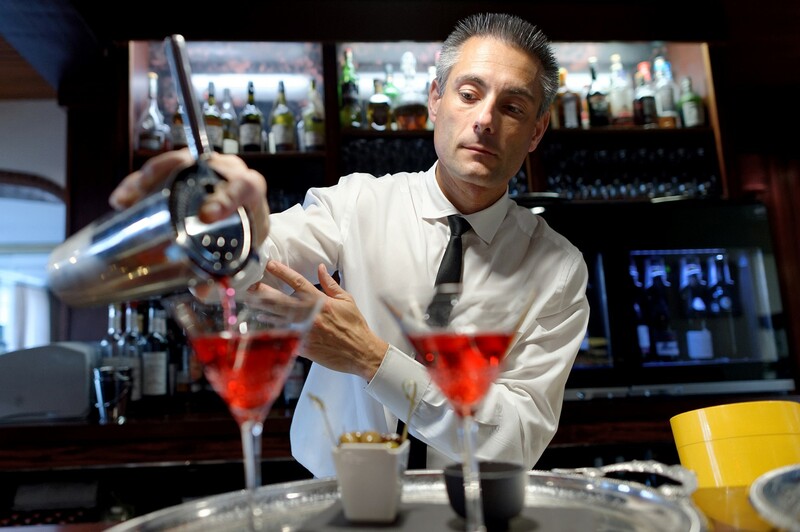 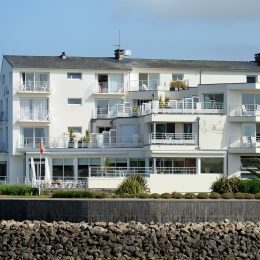 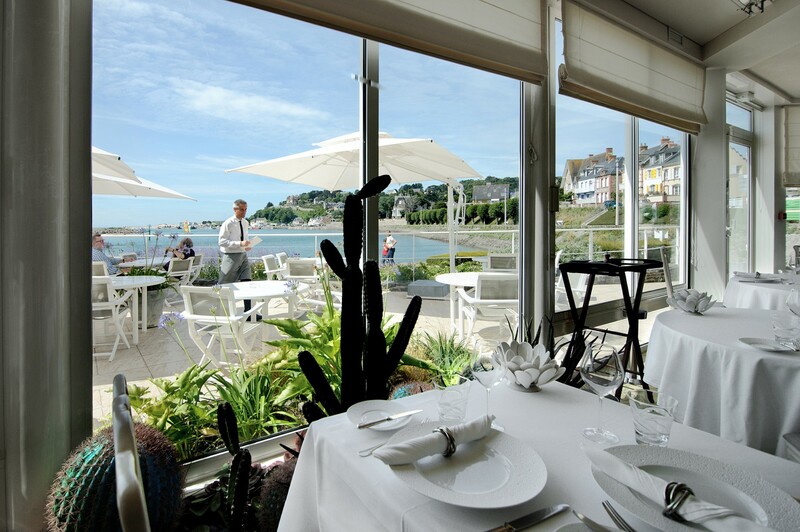 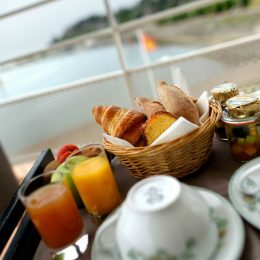 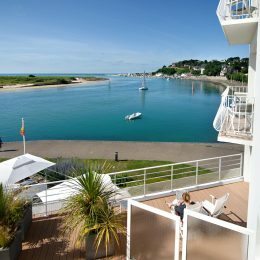 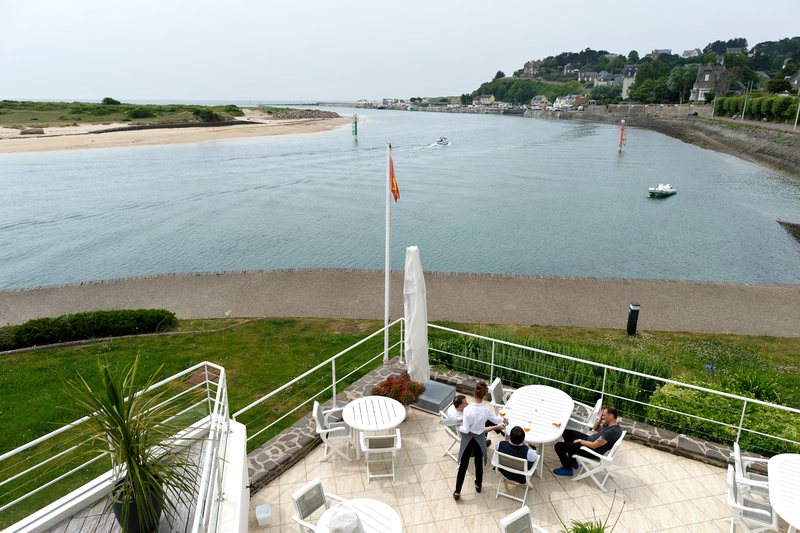 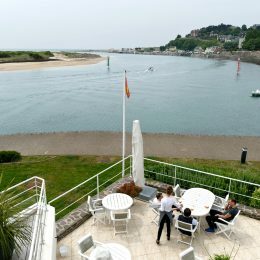 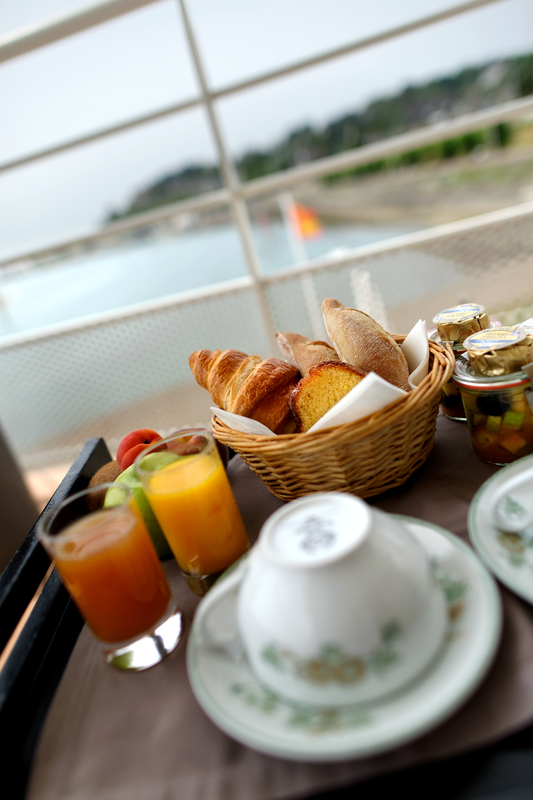 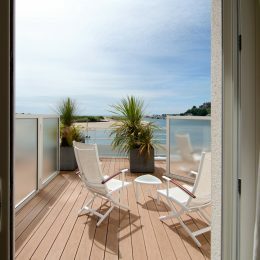 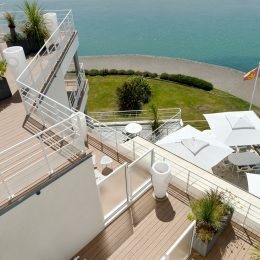 The hotel La Marine welcomes you in Barneville-Carteret, seaside resort located between land and sea on the west coast of the Cotentin peninsula, opposite the Channel Islands of Jersey and Guernsey. 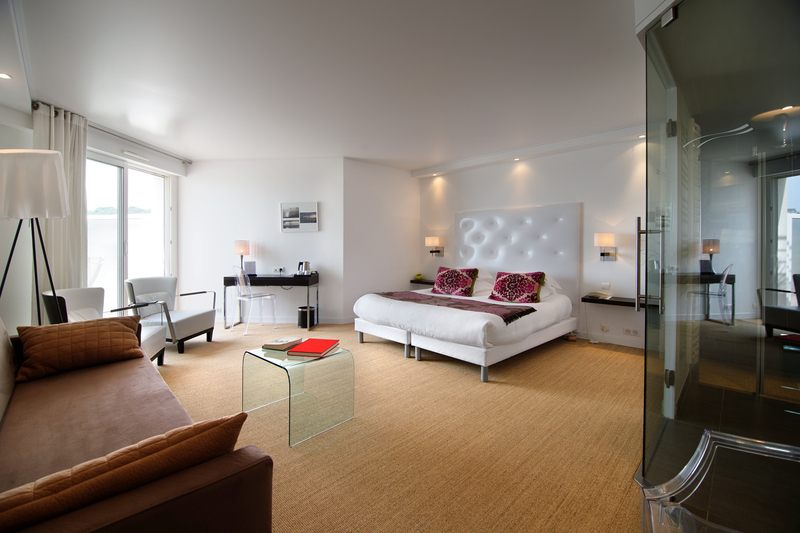 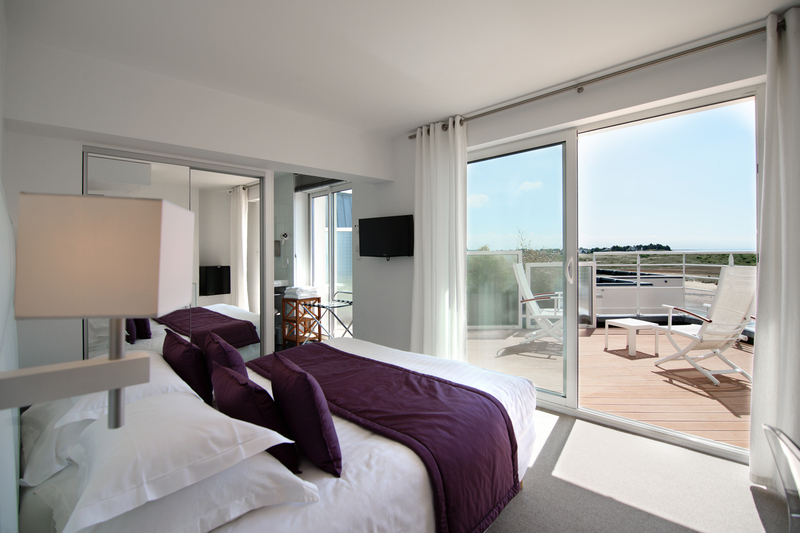 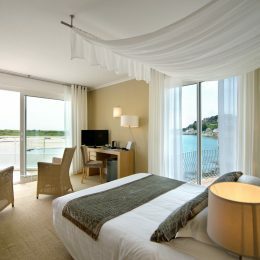 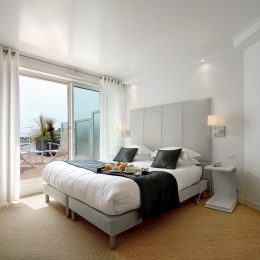 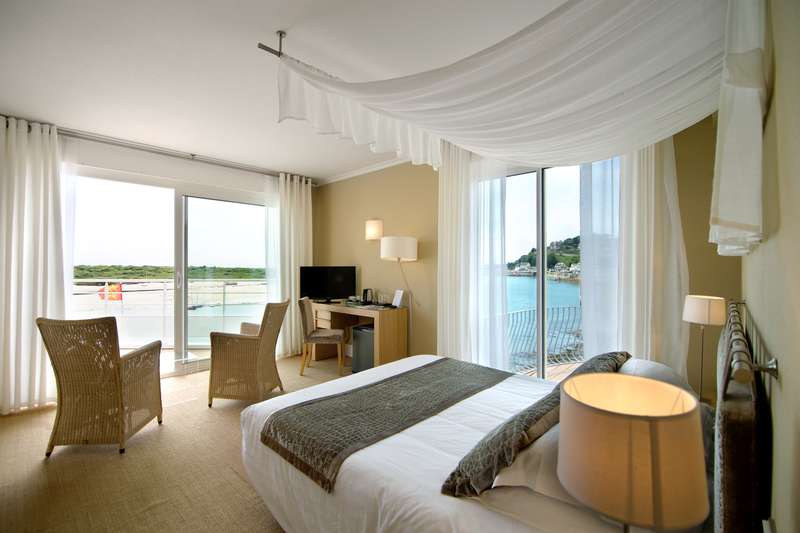 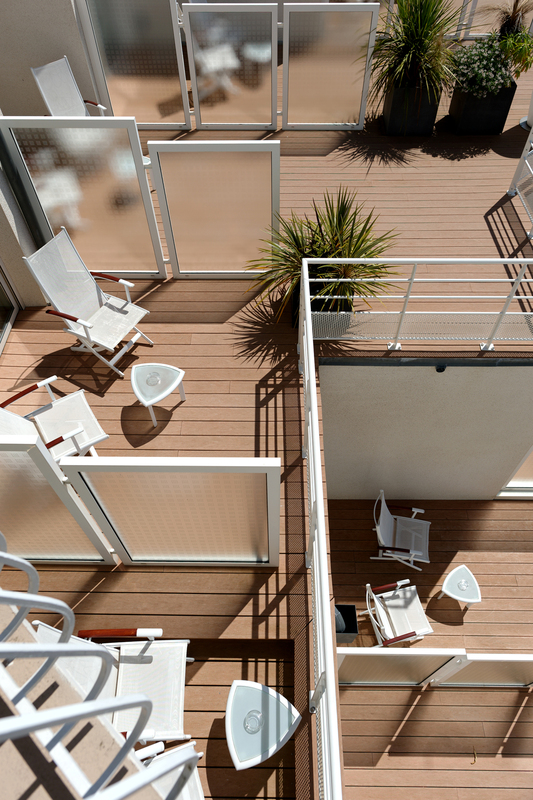 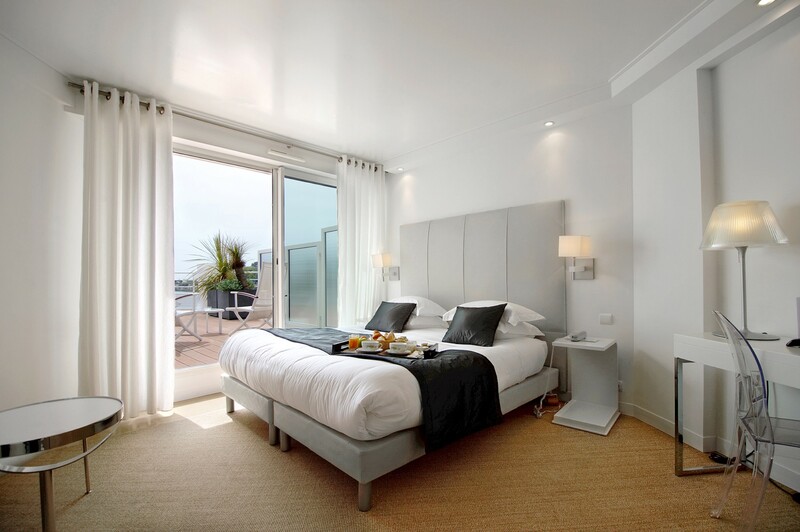 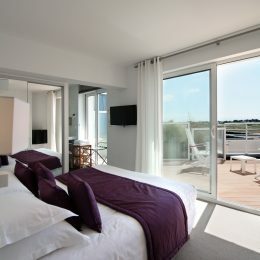 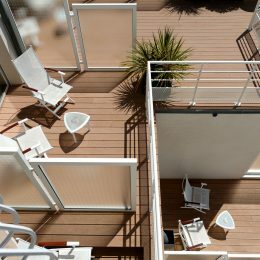 The rooms, decorated in a pure, pared-down contemporary style, look out over the Channel Islands. 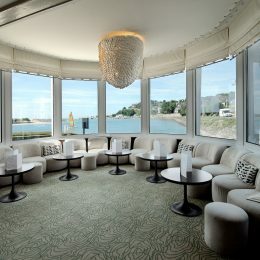 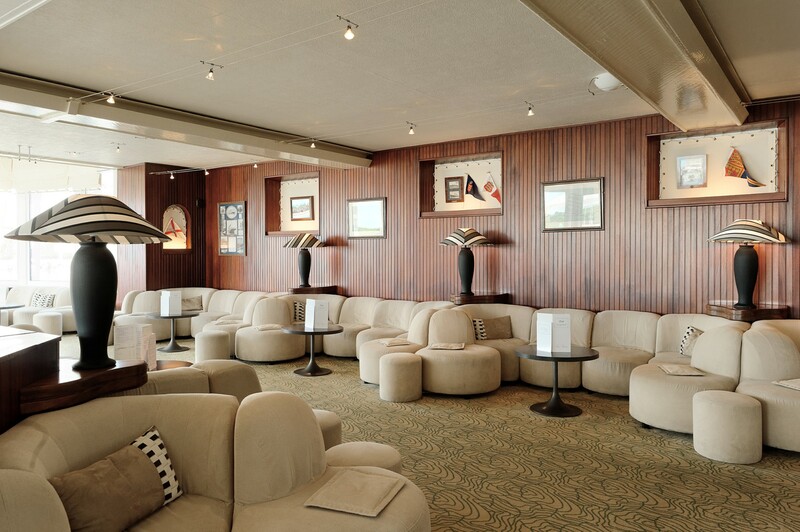 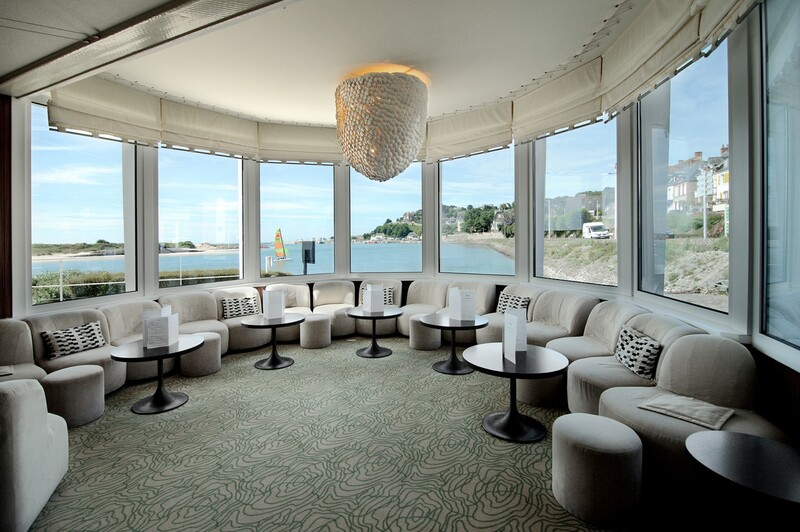 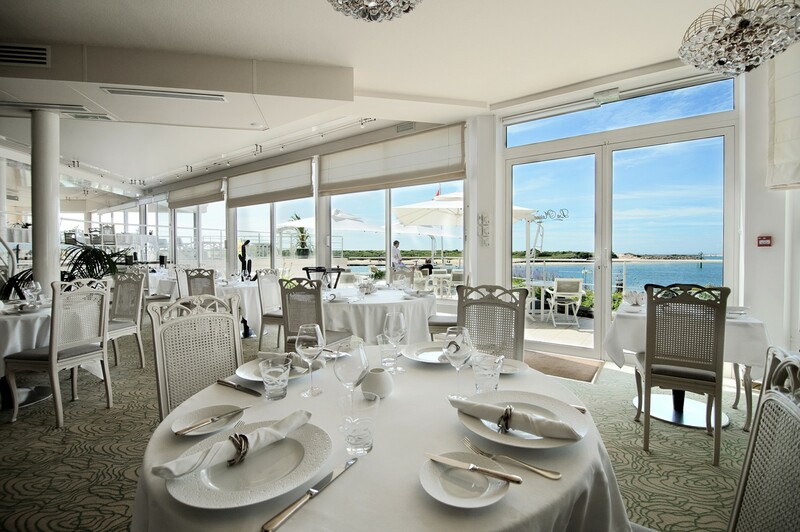 The bar and the rotunda-shaped lounge face directly out onto a splendid view of the ocean. 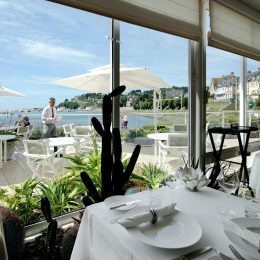 Carteret, a charming village in the heart of the Cotentin peninsula in La Manche in Normandy, is the departure point for a host of outings. 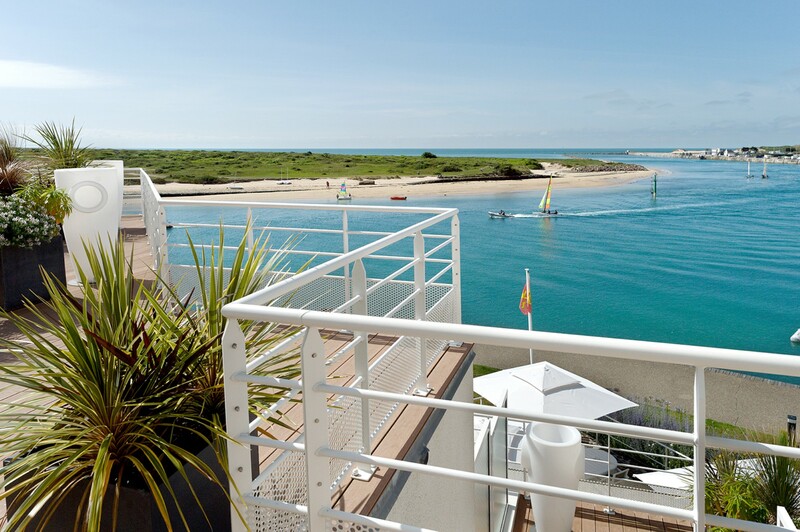 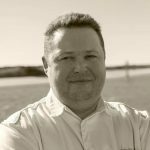 Whether you enjoy walking on vast sandy beaches, exploring the rocky coastline of the cliffs of La Hague, being active, soaking up culture or making a getaway to atypical islands, Carteret is the ideal base.